Digital Technology and Culture students are a diverse, creative, and innovative group. 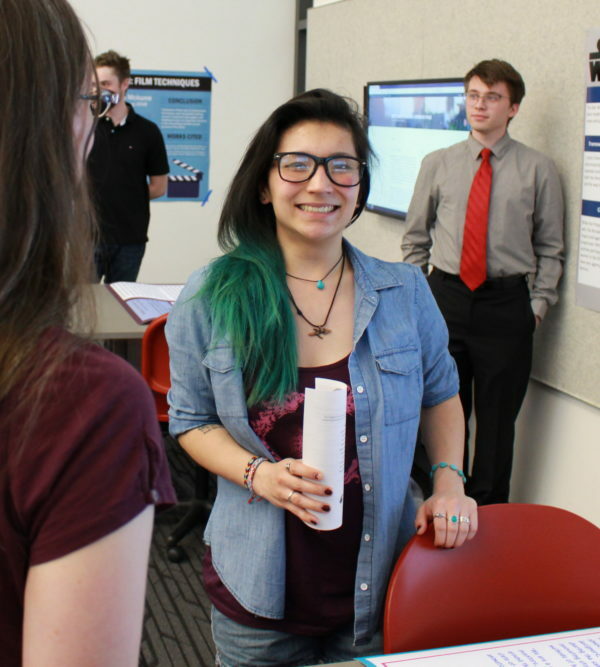 Students in the program explore a wide range of things: computer animation, social justice initiatives, website design, concepts of labor, graphic design, and/or study abroad opportunities. Our goal, as a program, is to develop a student’s critical capacity as well as their technical skills. For each student this journey looks a little different. We see the diversity in our students and alumni as one our programmatic strengths. Sign up to come visit us in Pullman. More questions? Feel free to email us at dtc@wsu.edu.